There are a few important steps to take before you can even begin to look for your perfect alternative wedding venue. You need to decide on an overall budget and how much you have to spend on a wedding venue in total. Of course, your budget will likely change several times as you go through the process of booking your venue and all of the different wedding suppliers, but having those figures in mind before you start is an advantage. Think about what sort of wedding you want. A lot of couples get swept away by wedding day traditions, and copying what other people do. You do not have to do what other people do on their wedding day. With the exception of a few legal formalities, you can organise the day any way you like. Make a list of what things are ‘must haves,’ large grounds to spend time outside or a late finish so that you can rock the night away for example, and things you do not care about, such as a formal sit down three course meal. Next think about location. This guide to choosing your alternative wedding venue covers North East England - Newcastle, Northumberland and Durham. As well as the area you also have the type of location. Would you prefer an outdoor wedding near the beach or in the woods? Or an urban wedding in the heart of the city? North East England boasts some amazing and unique alternative wedding venues. This is Noor and Callum at The Alnwick Garden in Northumberland. Finally, think about capacity. How many guest will you be inviting to the ceremony and to the evening shindig? Just like setting your budget earlier, the figures you choose now are not hard and fast and will change over time, but a rough estimate will aid your search efforts immensely. The first and most obvious place to look is online. You can do this to discover wedding venues that you have never heard of, or to further research wedding venues that you are aware of but need further information. I think the best thing to do at this stage is create a longlist of all the wedding venues that you’d consider and a second list of all of the wedding venues that are a definite no. I’m old school and prefer analogue to digital, so I’d personally use a pen and notebook (probably a V5 hi-tecpoint and a moleskine) but you may find it easier and more convenient to keep notes on your phone. It’s likely that you’ll do your initial searches over a few days, on various devices, so writing down what you’ve looked at and said maybe and no to, is far better than trying to keep it all in your head. Once you have your longlist its then time to really take a look at each venue in turn and see if it will make your shortlist. Go through each of your categories above (budget, theme, location, capacity) and check that the venue is a good fit. If all the information you need is not on their website, which maddeningly lots of venues don’t include, fire off an e-mail with things you need clarified. Now is also a great time to get some recommendations. If you’ve been to a friend or relative’s wedding recently and had a good time, add it to your list. Ask friends and family with similar tastes and outlooks to you if they have been to a wedding anywhere that they would recommend. You can also look to strangers for recommendations. Join the RocknRoll bride Facebook group and ask brides for the best wedding venues in the North East. Take a look at Brides Up North and see which wedding venues they feature. My wedding photography was featured on Brides Up North. Check out Sarah & Bry’s wedding at Ellingham Hall. Ellingham Hall in Northumberland at night. One of the advantages of going to a wider audience for ideas, is that you will get some unusual and quirky suggestions. Some wedding venues, such as Barn on the Bay are relatively new and might not turn up high in initial web searches. Others are prominent landmarks that you might not associate with weddings immediately and they don’t necessarily market themselves heavily. Laing Art Gallery I’m looking at you! The Laing Art Gallery in Newcastle is the ultimate alternative wedding venue for art lovers. Remember to take note of negative as well as positive reviews. A website may look very slick and sell the venue well, but if they can’t deliver on their promises on the wedding day they aren’t for you. Just be careful to take recommendations with a pinch of salt and bear in mind the theme you have chosen and what you want to get out of the wedding day. Other people have other priorities and will judge their wedding venue on that basis. They might be traditional while you are alternative. What might be a negative to them might be a positive for your wedding. Just keep your ultimate goal in mind. With all of your initial research done you should have a shortlist of wedding venues. Ooh, it’s all getting a bit real now! Every wedding venue on the list should meet all of your criteria for budget, theme, location and numbers, so it’s time to take a look at each one in detail. Imagine how you will feel at the end of the wedding aisle. This can be surprisingly hard to decide upon and pin down. One of the first hurdles is deciding whether you are paying for the wedding yourself or are family members helping out? Assume nothing and find out the hard facts now, so that you don’t have any nasty surprises later. The other issue with budgeting for your wedding venue is that you have to take the whole wedding into account and then fit your wedding venue budget into that. Some wedding venues have packages that bundle several things in together, such as the ceremony, catering, chairs and accommodation. Others are more bespoke and start with hiring the bare four walls, allowing you to build a unique wedding that ramps up in cost with each decision you make and item you add. Bridebook have a wedding budget calculator which is a great way to get started and estimate what percentage of your budget your wedding venue will consume. A phone app such as WeddingHappy can help you at the beginning when you might feel overwhelmed. As a rule of thumb, I’ve read that couples usually budget between around 15% of their overall wedding budget for their wedding venue. According to Hitched (and reported on in The Independent newspaper) the average cost of a wedding in the UK is £27,000. That means you could be looking at spending in the region of £4000 for your venue. Top tip - Got your heart set on a particular venue but it’s out of budget? Consider a midweek or out of season wedding instead. Fridays, Saturdays and Sundays (as well as Bank Holidays) are the most popular wedding days, so you might get your venue at a discounted rate on a Monday, Tuesday, Wednesday or Thursday. Many couples have their wedding on a Tuesday following a Bank Holiday as it is generally easier for guests to get time off work by tagging an extra day or two on their long weekend. Similarly, the wedding season here in the UK is generally from April until late September. You can never guarantee the weather in this country anyway, so arrange your wedding for October to catch the autumn colours, or January for a crisp winter’s day. There are two things I’d like to add before finishing talking about budget. The first is to build a contingency fund into your overall budget. You may or may not spend it at the stage of hiring your venue, but something will crop up unexpectedly, so best give yourself some wriggle room from the start so it doesn’t become a major issue later on. The second thing is that you should give yourself a realistic budget for your whole wedding. Don’t cripple yourself financially for your wedding day. It will only taint your memories of the day if you are still paying for it years later. Budget responsibly and give yourself the freedom to enjoy your married life! This awesome bridge makes for a cool alternative wedding photo. It’s just around the corner from the Vermont Hotel in Newcastle. This doesn’t necessarily mean having a Lord of the Rings themed wedding, although it can, it just means ensure that you have the wedding you want, not the wedding others expect you to have. Strong opinions and unwarranted advice will come your way during your wedding planning, but hold firm and always make your final decision based on what YOU want. Tanya and Craig’s wedding at Newton Hall, Northumberland, was loosely themed around Lord of the Rings and Harry Potter. Your choice of wedding venue directly feeds into the style of wedding you want. If you choose to get married in an alternative stately home, such as Newton Hall, then you might only need to add flowers to complete the look of the venue, but if you are getting married in a barn you may need to hire tables, chairs, crockery and lighting. Not only do you have to factor this into your budget, you also need to think about the time you have to styling your venue both in the planning stage and the set up the day before. For my own wedding I wanted a wedding venue in the city (so that elderly relatives didn’t have to travel far), with accommodation (so that guests could spend the night especially if they had travelled a long way), and had some character (a boutique hotel rather than a corporate chain). I was married in the Hotel du Vin which had a distinctive, quirky style which only needed minimal dressing to finish off. The key is to pick a wedding venue that already matches your ideas, so that you don’t have to spend time, energy and money forcing it to be the way you want it. As You Like It in Newcastle is a brilliant example of this with it’s award winning interiors. As You Like It in Newcastle is all twinkling fairy lights, blossom trees and exposed brickwork. If you are hiring a venue to dress, such as a barn, tepee or marquee, you might want to consider a wedding prop hire company to dress it for you. Timeless table is a vintage wedding prop hire company for example. Before you pull the trigger consider whether the wedding venue truly matches your personalities and the people you are. As an alternative couple you have the advantage over traditional couples as even if you don’t have a 100% clear idea of what you do want, you probably have some pretty strong ideas of what you don’t want. Where is the best location for your alternative North East wedding? Location, location, location. This dovetails perfectly into the theme part of your planning. You’re unlikely to find a stately home in the centre of the city! The wild Northumberland coast is a great, if a bit nippy, location for your alternative wedding in the North East. Things to consider are how the other parts of your day are going to fit into your choice of wedding venue. The easiest way to get married is to have everything in one location. Stay there the night before, get ready at the venue, get married at the venue and then have your wedding breakfast and reception there later. Then stay the night! Not all wedding venues have everything, though. If you want to get married at the venue, you need to ensure that it is licensed for civil ceremonies. Otherwise you’ll have to move offsite to the Register Office, or a church for the ceremony. You could use the heart of Newcastle city centre as the backdrop for your wedding as Emma & Ian did. You might prefer to get ready at home and then travel to the ceremony venue by car. In that case you need to factor in the distance and time it will take to get there. Don’t forget that all of your guests will need to get there too. In normal weather that won’t be an issue but if you are out in the wilds of Northumberland and having a wedding in January, you better hope that the Beast from the East doesn’t strike! Similarly parking and traffic can be an issue in the heart of Newcastle city centre. Match days can be a total nightmare for getting around by car. If you are getting married in a church then you need to allow time in your schedule to get from your bridal prep location to the church, and then from the church to your wedding venue afterwards. The type of wedding photography you’ll receive is dependent upon the location of your wedding venue. When you think about sitting on the sofa in five years time to leaf through your wedding album, what sort of images come to mind? Bride and groom portraits at sunset on the beach? Your mates drinking and laughing on hay bales outside a teepee? Timeless black and white photographs on a grand staircase? Vibrant, urban photos of the two of you picking your way through the crowds on the Quayside? Go rustic with a country wedding in Northumberland. 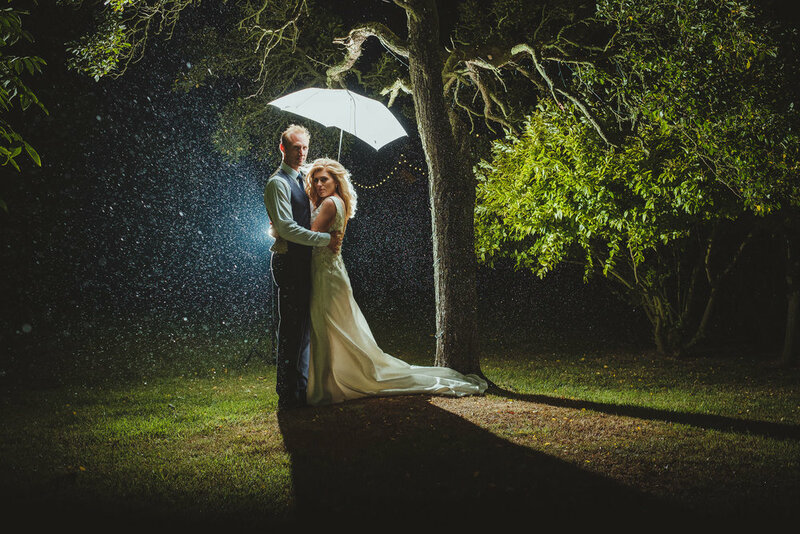 The unpredictable British weather will have a bearing on your venue too. Is there enough space for your guests at the venue if it is wet all day? Do you mind getting your dress dirty and your hair messed up in the wind as you cross a muddy field to get your portraits taken? Pick your location carefully otherwise you’ll be fighting to keep your wedding on track all day. The number of people you invite to your wedding ceremony and evening reception plays a crucial role in deciding upon your wedding venue. Some venues may have small ceremony spaces meaning people standing at the back or tough decisions when sending out invitations. Some venues have very large ceremony spaces, so if you are having a more intimate wedding ceremony your guests will be lost. The capacity of the venue, and the number of guests you invite will massively affect your budget. Some venues have in-house catering and will be able to give you a rough per head cost so that you can gauge your budget. You’ll need to hire outside suppliers for other venues, which you’ll need to factor into your costs. Catering is a popular area to save money at weddings nowadays. Lots of people don’t have a three course wedding breakfast, instead opting for afternoon tea, pizza ovens and hog roasts, or street food from mobile trucks. If you are going down this alternative route, be sure to check that your wedding venue allows this. Teepee and marquee weddings are very popular in the North East. Once the food is sorted you need to think about drink! Check whether your venue charges corkage or is a no-corkage venue. How much do they charge for a bottle of Prosecco? Are drinks for toasts included? After eating their fill and drinking their drinks, your guests will want to stagger off to bed. If your venue offers accommodation, that is! If they don’t, where will people be able to stay nearby? Some venues offer discounts at certain offsite locations so it’s worth asking. Should there be accommodation onsite, will there be enough for everyone? Is there a bridal suite you can bagsy, and is the cost of it included? Is there a minimum number of rooms you need to book? Some venues insist upon this if you want exclusivity of their venue on the wedding day. I know Jesmond Dene House did this the last time I was at a wedding there. None of these subjects deserves its own special category but they are worth considering when picking between potential wedding venues. Does your wedding venue have supplier restrictions? Many wedding venues have a recommended supplier list, and that can help give you initial ideas for photographers, cake makers, florists, etc. Some wedding venues tell you that you MUST choose a supplier from their list. The Secret Tower in Newcastle, for example, won’t let you bring in your own wedding photographer. Others charge a fee for using a supplier not on their list. The Alnwick Garden is a magical wedding venue in Northumberland. I’m not a fan of commission based supplier lists and refuse to be part of them (this is where suppliers pay each other for referrals that book) because ultimately it ends up in the couple paying more for everyone’s services. If a wedding venue has carefully selected good quality suppliers that work well alongside the venue that’s far better than a preferred supplier list based on money swapping hands. There can be restrictions on live music at particular venues, so if you plan on having a live band, or partying hard long into the night, make sure to ask what the restrictions are. Similarly, you’ll need a late license if you want to carry on drinking into the wee small hours. Many venues have rules regarding fireworks, sparklers and even confetti. If you plan to make any of those a big event on your day, ensure that are permitted and who will organise them. As You Like It in Newcastle have a late licence until 2am. Get in! Should you have a master of ceremonies for your alternative wedding? Speaking of organising things, ask about a master of ceremonies. Someone needs to be vocal and tell your guests where to go and announce the speeches. Does the venue have a dedicated master of ceremonies, will you need to hire one, or will you get a mouthy (ahem, confident) guest to do it for you? Many alternative couples tend to do away with something as formal as a master of ceremonies, but it does help if your guests have a clear idea of the structure of the day and where they should be at any given time. Perhaps you could print out a timeline you could send out in advance, or write one up on a big chalkboard at the venue? Whatever wedding venue you choose, your loved ones will support you through your day. Phew! That was quite a lot of analysis and research to apply to your wedding venue shortlist. By now a few more venues should have dropped off your shortlist and you should be left with perhaps 2-4 real contenders. With your shortlist…er…short, it’s now time to jump in the car and visit the venues in person. Have a look at their Facebook page and see if they have an open day coming up, a wedding fair planned, or you can just pitch up and have a spoach around. Check if the description on the website matches the reality. Ideally you should go at different times of the day and different days of the week (it might be pushing it a bit to go in different seasons but that would be perfect). If you can’t do that, the best time to go is around the same time of year as your wedding, so that the weather and light conditions will be similar. This is when you find that the Victorian folly which you’d like to use in your wedding photos is only accessed by a muddy quagmire in autumn which is what happened to me at Redworth Hall. The immaculately kept flower beds in the grounds won’t look the same in January as they do in June. You’ll also see that it’s pitch black at 4:30pm in January, so if you want couples photos outside you’ll need to move your ceremony time forward from 3:30pm. 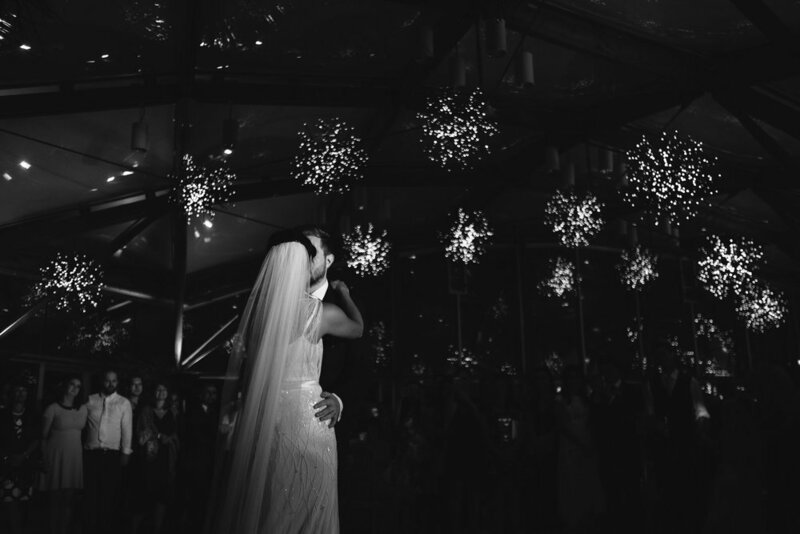 You can get good wedding photos after nightfall with a decent photographer. You can also see the indoor lighting. Ideally you want no nasty fluorescent lights or ultraviolet uplighters - your photographer will thank you later! Some venues have moody spotlighting whereas others have tall ceilings and large windows. All of that contributes to the feeling of the wedding venue, which is something that doesn’t necessarily come across online. Ensure that the wedding venue has the right mood for your theme. Visiting the wedding venue means that you will be able to meet the staff in advance. This is a crucial step, because you will be spending a lot of time with the venue staff on the day, and on the lead up to it. If you don’t get on with the staff your wedding day will be long and stressful. A good wedding co-ordinator can make your day run smoothly and worry free. Are they enthusiastic about your ideas and willing to make changes to the way they usually organise the wedding day for you? Do you feel like you are on a wedding day production line, where they could swap out your names and have exactly the same wedding the following day for a completely different couple? Sarah was totally chilled on her wedding day. Be like Sarah. When it comes to staff at wedding venues I find that they generally fall into three camps. The first is lowly paid workers at corporate venues; they have no real desire or incentive for your wedding to run smoothly, and don’t see your day as anything special. I won’t mention a wedding venue with staff like this, as it would be unfair to Gosforth Civic Hall ;) (to be fair this was a number of years ago and it’s probably changed a lot since then). 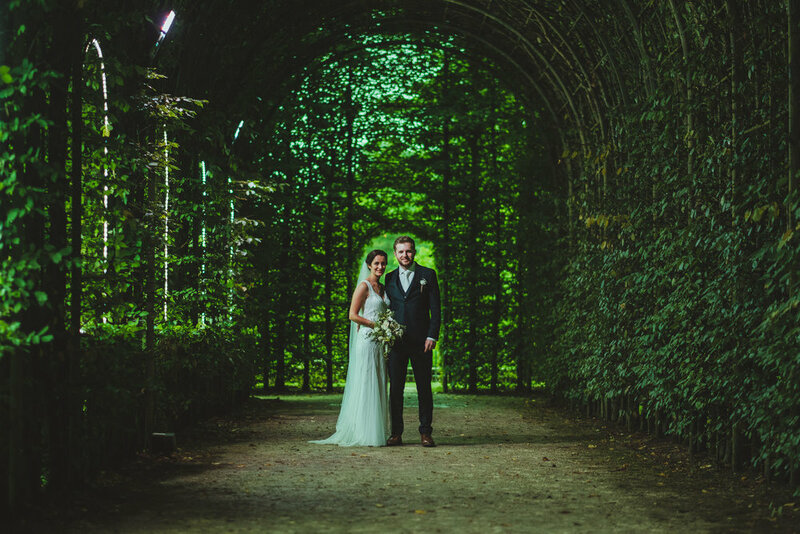 The second type of staff are slick and numerous, and can be found at wedding venues such as le Petit Chateau. They organise a lot of weddings there and are very good at it. In some busy summer months they might have a wedding at the venue every single day of the month. The third category is small, independent wedding venues such as Northside Farm. This is a family run business, and while they don’t have the experience in the volume of weddings that some of the busier venues do they make up for it by offering a truly bespoke service. 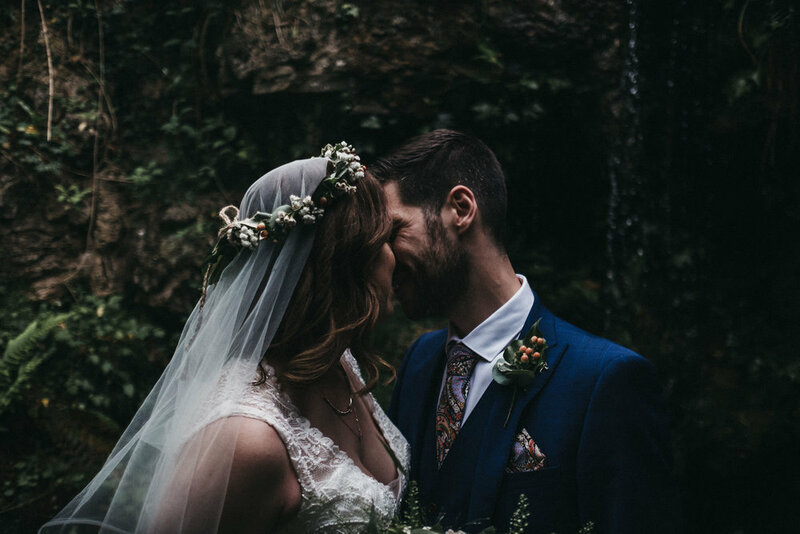 If you like interacting with a real person, have a chat with Olivia at Northside Farm who will literally do everything in her power to give you your wedding day the way you want it. Alex and Sam enjoying a stroll around the grounds of le Petit Chateau on New Years Eve. When I got married at Hotel du Vin I arranged my wedding with the planner who had a lot of leeway to change things just for us. We took things off the menu and replaced them with others, came to agreements to swap some rooms for others, made arrangements for specific guests and set up the ceremony room exactly as we specified. Since then he left and although the fabric of the building is still the same there is no wedding planner there with the latitude to treat couples in a bespoke manner. They have to toe the corporate line which means a less individualised service. 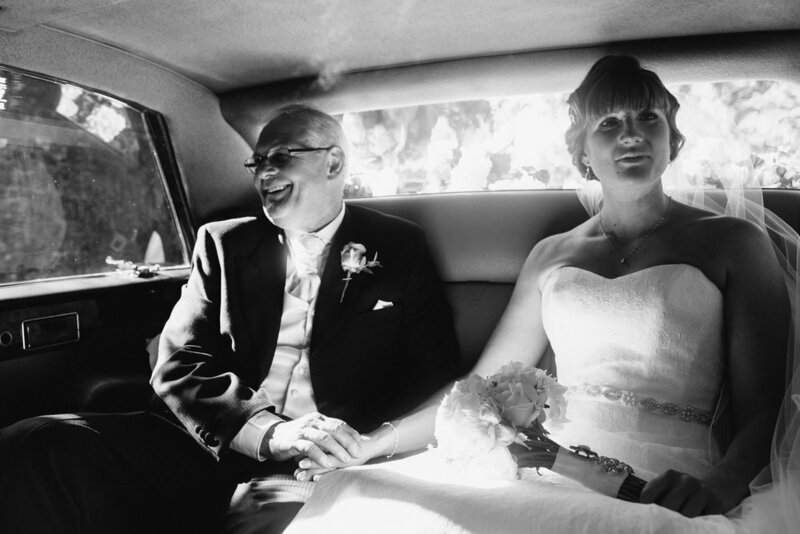 Top tip - Look at existing wedding photography at each venue. Search Google for Malmaison Newcastle wedding photography for example and you’ll see lots of photographer’s blog posts featuring photographs of real weddings at the venue (including one of mine for Danika and Sebastian’s wedding on Newcastle Quayside). Rather than read whole blog posts you can click on search images rather than search all, to see just the photographs. One word of caution is to get a realistic idea of the photographs that are possible by ensuring you are looking at real wedding photos rather than styled shoots. Photographs from styled shoots can look amazing, and might be commissioned by the venue to get images they can use in their marketing, or be generated by the photographer who’d like to work at a particular venue but hasn’t shot a wedding there yet. For example, I shot a wedding at the Laing Art Gallery styled shoot when I first started my business several years ago. I had dedicated make up artists, florists, models and hair stylists on hand, and I also had the use of the Laing before it was open to the public. The focus is solely on the photos. A real wedding won’t have such luxuries, so it’s better to look at real weddings if you can. You can tell the difference by the range of photographs - if there are shots of different times of the day (bridal prep, speeches and reception for example) you can be sure it’s from a real wedding. A styled shoot will usually just be the couple with some super stylish table layout and flowers. The Laing Art Gallery alternative Newcastle wedding venue. My final piece of advice when it comes to picking your perfect alternative wedding venue in the North East is this. Go with your gut instinct. Having taken everything I’ve written about above into account, you are probably trying to make a choice between a couple of venues. At this point, throw rationality out of the window and go with what feels right. I hope that this guide to choosing your perfect alternative wedding venue in the north East has been useful to you, and I hope you have an amazing wedding! Although there are loads of examples of unique and quirky wedding venues in Newcastle, Northumberland and Durham in this guide, it is far from complete. I hope to write a follow up to this guide soon, with a comprehensive list of alternative wedding venues in the North East. Watch this space!